Not all police officers protect citizens from crime. In fact some police officers are actually out there in the street committing some crimes, according to police reports out of New York. 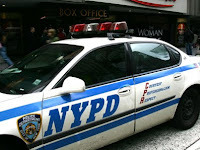 A New York City Police Department police officer was arrested on charges of theft. Officer Jenny Mendez, 28, was arrested Friday in the Midtown South Precinct and charged with petty theft and criminal possession of stolen property, police said. Mendez, of the Midtown North Precinct, allegedly stole clothing from a store in Midtown Manhattan, according to a local New York newspaper. Additional details like exactly what she was stealing were not disclosed by police. Mendez has been suspended without pay, according to press reports.